The Chinese civilization has thrived throughout history. It was once known for its inventions such as paper, the compass, and gunpowder. Today, China is a country known for its New Year's Day celebration as well as various cultural traditions. Beijing, the capital city of China, is full of culture. There are palaces, museums, and monuments to see. Visit Tiananmen Square, the largest plaza on earth. Or explore the Forbidden City, which served as an imperial palace to the Ming and Qing dynasties. Other tourist sites in Beijing include Beihai Park, the Ming Tombs, the Summer Palace, Marco Polo Bridge, and the ruins of Yuanmingyuan. 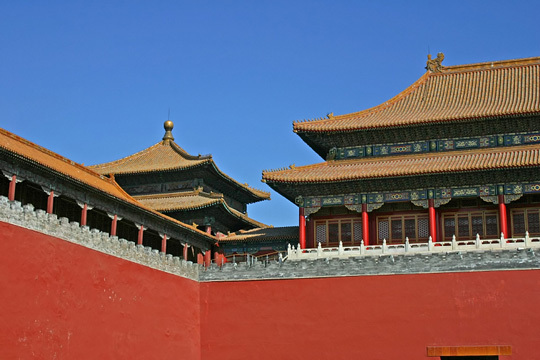 Beijing literally means "northern capital," in contrast to Nanjing, the traditional "southern capital" of China. Shanghai is a modern metropolis which offers a variety of tourist attractions. Visitors can shop along Nanjing Road, the Chinese version of Rodeo Drive. They can browse through the contents of the Shanghai Museum. Or they can people-watch on Peoples Square in the center of Shanghai. Visitors may also like looking around the Temple of Confucius, the home of Dr. Sun Yat-Sen, and the classical Chinese Yuyuan Garden. 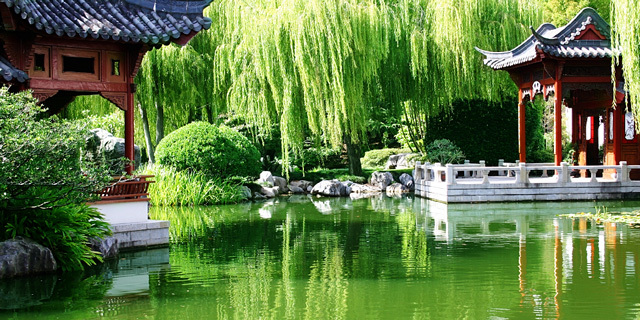 If time permits, a visit to the ancient cities of Hangzhou and Suzhou is well worthwhile. Xian served as the capital of China for eleven dynasties and as such has a long history. 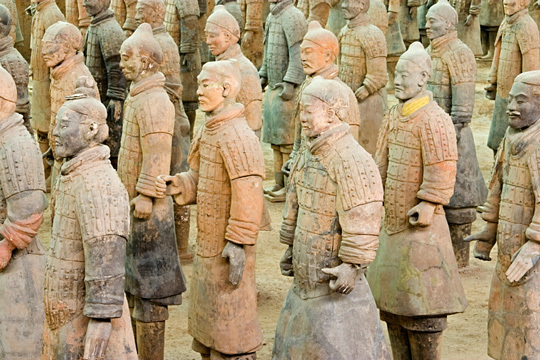 Visitors to Xian should not miss seeing the Terra Cotta Warriors, a collection of 8,099 life-size terra cotta figures located near the Mausoleum of the First Qin Emperor. 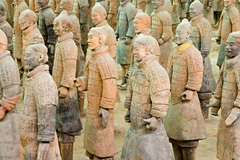 The terracotta figures were buried with the emperor in after his death. The figures went undiscovered until March of 1974. The figures depict infantry, archers, and officers holding weapons. In Xian, visitors can also see the remains of a primitive civilization that lived thousands of years ago, the tomb of Emperor Gao Zong and Empress Wu Zetian, and the Wild Goose Pagoda. 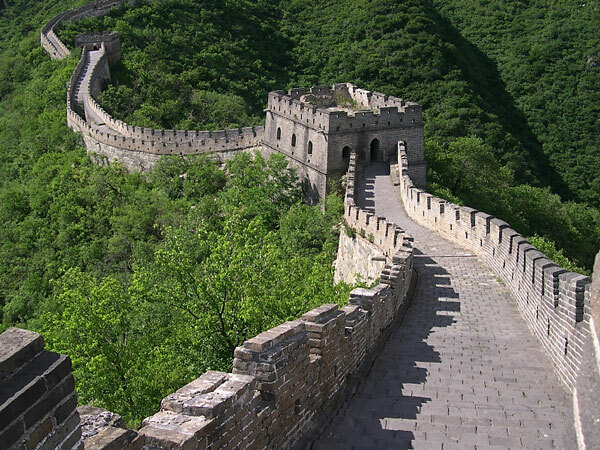 The Great Wall of China is the only man-made structure that can be seen from the moon. It is a fortification that was built from the 3rd century BC through the 17th century. The wall was built to protect Chinese dynasties from raids by the Mongols and other nomadic tribes. The wall covers more than 3,900 miles and roughly serves as the border between Northern China and Mongolia. Hainan Island, located off the coast of China, is home to resorts, world class beaches and golf courses. Hike in the tropical rainforests, visit traditional cultural villages and see artifacts in Hainan Island.